Top selling luxury cars July 2011 looks a lot like the list of best-sellers for the month of June – at least in the first four spots. After that, there’s a bit of jockeying with some players changing position. Only three domestic makes number in the top 10, two from Buick and one from Cadillac. Four are from German automakers, two each from BMW and Mercedes-Benz, one is Korean (Hyundai), and two are Japanese (Lexus and Infiniti). 1. 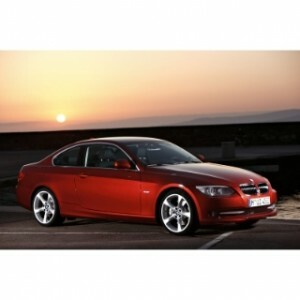 2011 BMW 3-Series – Continuing its reign at the top of the sales list of luxury cars, the 2011 BMW 3-Series is way out in front with sales during July of 8,640 units. For the calendar year through July, the 3-Series has sold 62,502 units, which is down 6.4 percent over year-ago levels. Why is the BMW 3-Series such a hot luxury car? For one thing, the advertising slogan, “The ultimate driver’s car,” must be true. The 3-Series has a proven track record, powerful engines, exquisite ride and handling, strong crash test scores, and the BMW name. 2. 2011 Buick LaCrosse – Maintaining its second-place spot in the top selling luxury cars July 2011, the 2011 Buick LaCrosse sold 5,971 units during the month and, year-to-date sales total 35,298. That’s off 5.8 percent over the same calendar-year period last year. Customers like the fact that the LaCrosse and the Buick Regal, number eight below, are both Top Safety Picks from the Insurance Institute for Highway Safety (IIHS). Often referred to as an “affordable luxury sedan,” the LaCrosse aims squarely at the likes of Mercedes-Benz and has already surpasses Lexus in terms of sales. 3. 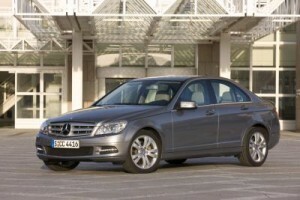 2011 Mercedes-Benz E-Class – An opulent, large sedan, the 2011 Mercedes-Benz E-Class is another IIHS Top Safety Pick. Reviewers consider the E-Class “fun to drive,” offering superior quality, and available in a number of different body styles. Sales during the month of July of 5,114, although down slightly from June, are still enough to keep the E-Class in solid third place. Calendar year-to-date sales are 37,074, up 11.5 percent over the same period last year. tends to be higher than competitors and gives a little in terms of performance, the 2011 Mercedes-Benz C-Class is firmly ensconced in fourth place of top selling luxury cars July 2011. For the month, the C-Class sold 4,554 units, while January through July sales totaled 34,535, off just 0.9 percent year-over-year. 5. 2011 Infiniti G – Moving up two spots (from seventh place in June), the 2011 Infiniti G coupe, sedan and convertible sold 4,490 units in July. Year-to-date (through July), the Infiniti G has sold a total of 32,806 units. Customers gravitate toward the Infiniti G primarily for its outstanding performance and fun-to-drive attributes, along with handling, power, quality, exterior styling and comfort. The entry-level midsize luxury car Infiniti G is manufactured by Nissan, the parent company of Infiniti. In spots six through 10 of the top selling luxury cars July 2011 (with month of July sales in parentheses) are: the midsize 2011 Cadillac CTS (4,449), the large 2011 BMW 5-Series (4,318), the midsize 2011 Buick Regal (3,524), 2011 Hyundai Genesis (3,517) and 2011 Lexus ES (2,850), both midsize luxury cars.